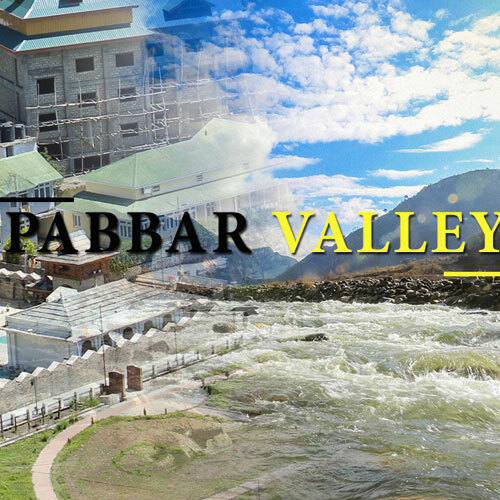 The spectacular hills accompanied by the structures made during the colonial era create an aura, which is very different from other hill stations. 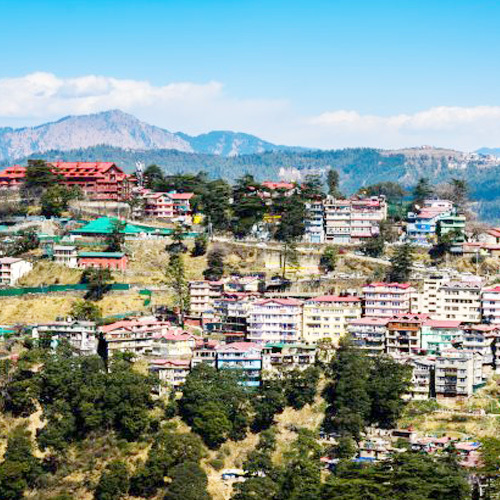 Shimla’s legacy of British control has left in somewhat of Aesthetic anomaly: an Indian town, a state capital, no less that looks and feels like a village in Northern England. 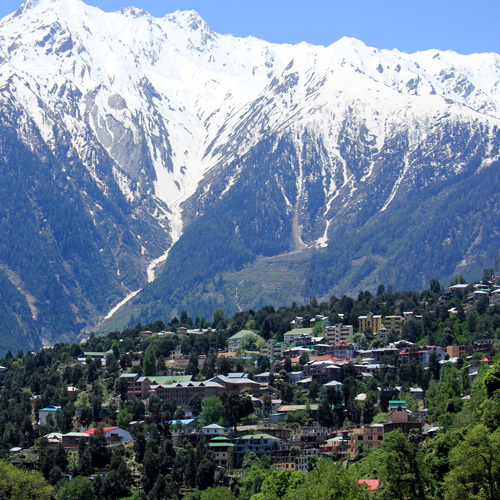 Shimla District lies between the longitude 77o-0″ and 78o-19″ east and latitude 30o-45″ and 31o-44″ north. The elevation of the district ranges from 300 to 6000 meters. History of Shimla goes back to the period of Anglo-Gurkha war in the beginning of 19th century. Shimla District in its present form came into existence from 1st September 1972. Shimla is the Capital Town of Himachal Pradesh. It was formerly the summer capital during the British Rule. The town of Shimla is built over several hills and connecting ridges. Shimla is surrounded by Seven Hills. These hills offer a wide variety of trails to visitors to explore. Prospect Hill in western Shimla, which has the Kamna Devi temple. Summer Hill in western Shimla, where the campus of Himachal Pradesh University is located. Observatory Hill in western Shimla, where the Indian Institute of Advanced Study is found. Inverarm in western Shimla, where the State Museum is located. Bantony in central Shimla, which has the Grand Hotel. Jakhoo in central Shimla, which is crowned by the temple dedicated to Lord Hanuman. Elysium in north-western Shimla, which holds Auckland House and Longwood and reaches out towards the Bharari spur. The name Shimla was derived from ‘Shyamalaya’ meaning blue house said to be the name of house built of blue slate by a faqir on Jakhu. 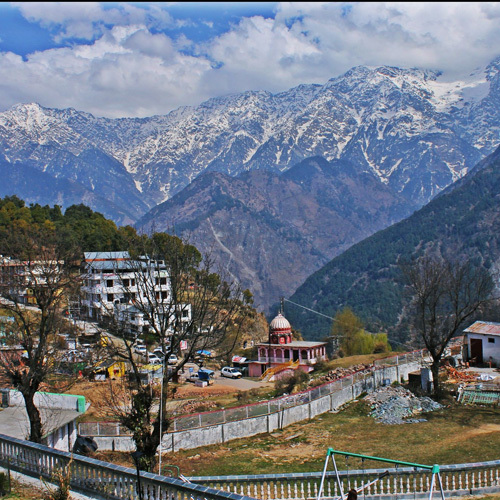 According to one version Shimla takes it name from ‘Shamla’ meaning a blue female another name for Goddess Kali. The stunning beauty and charm of Shimla was discovered by a British officer Lt. Rose in 1819. THE MALL: Himachal’s answer to Pall-Mall of London and Fifth Avenue of New York, Shimla mall has come up after years of careful and loving nature. Mall Road is the main street in Shimla. Constructed during the British Colonial rule. It is the key shopping centre of Shimla with restaurants, clubs, banks, bars, Post Offices, theaters, book shops, tourist offices, shops filled with the latest in fashion and most of town’s highlights. The place becomes breathtakingly romantic in the evening offering wonderful views of the lit up city below. 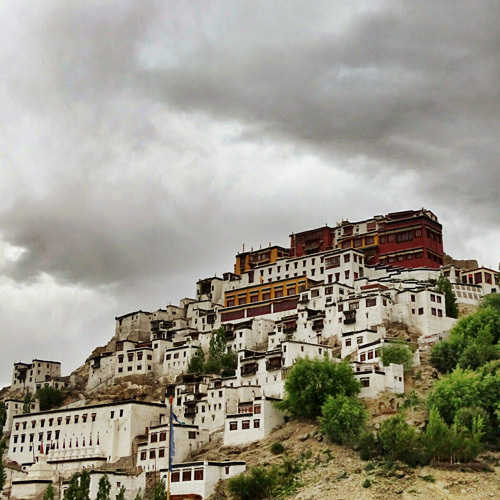 You can laze around the Mall and spend some intimate moments with close ones making it the most significant among the tourist attractions in Shimla. THE RIDGE: This place is an open space in the heart of town and offers outstanding views of the distant mountain ranges. Located in the heart of Shimla along the Mall Road, is the famous tourist attraction known as The Ridge. 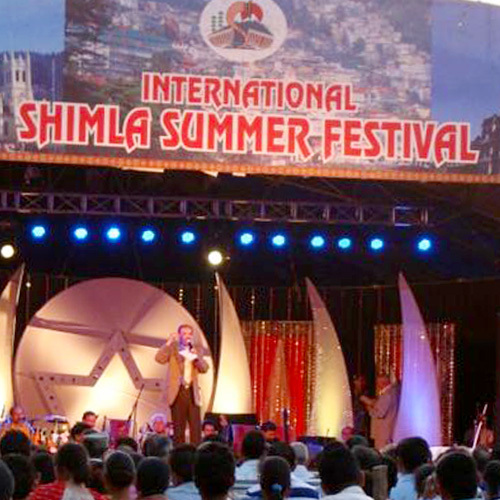 The Ridge is the hub of all cultural activities of Shimla. CHRIST CHURCH: The most famous landmark of the Ridge is the Christ Church. This beautiful building is constructed in Neo-Gothic style of architecture. Christ Church is the second oldest church of North India and is considered as one of the landmarks of Shimla. It was built in 1846-1857 and stands overlooking a ridge. It has a very majestic appearance and inside there are stained glasses windows which represent faith, hope, patience and humanity. Its stained glass windows and clocks, though not working anymore, add to its beauty. Other important churches of the city are St. Michael’s Cathedral and Roman Catholic Cathedral. THE GAIETY THEATER: The Gaiety Theatre is located in the centre of the Mall. This heritage building is more than 120 years old. It was opened in 1887, but a formal inauguration of the Shimla Amateur Dramatic Club (ADC) took place in 1888. It remained the hub of cultural activities during the British Raj and also thereafter. Prominent theatre artists has given their performance in it .Young army officers and their wives, they took to the greasepaint and the boards like a duck takes to the water. The green Room, inevitably, turned to a social hub. The Gaiety Theatre was originally part of a huge town hall complex in the neo-Gothic style, spanning the Mall and the Ridge. Shimla Gaiety Theatre was one of the two Theatres of such type in the world. The other one was in France. GAIETY THEATRE was opened for performances after a period of about six years by taking its restoration at a cost of about Rs 11.50 crore recently. SCANDAL POINT: Scandal point is where the Mall road joins the ridge road on the west side. The name, scandal, rose from the commotion caused by the supposed elopement. It was at this very spot the beautiful young daughter of a top British official, member of the Viceroy’s household, eloped with a dashing young Indian Prince. After the lapse of a few days, the girl was talked into returning to her chagrined parents and the prince was forbidden the summer capital. Of course the ‘prima donna’ of British society were shocked at the scandal which died down after many years, but the story of their escapade will live on immortalized by concrete, stone and the fragrant air of the pines. KALI BARI TEMPLE: Kali Bari Temple is a temple dedicated to the Hindu goddess Shyamala, from which the hill station-and capital of Himachal Pradesh, Shimla derives its name. Kali Bari Temple houses a shrine of the Hindu goddess Shyamala. 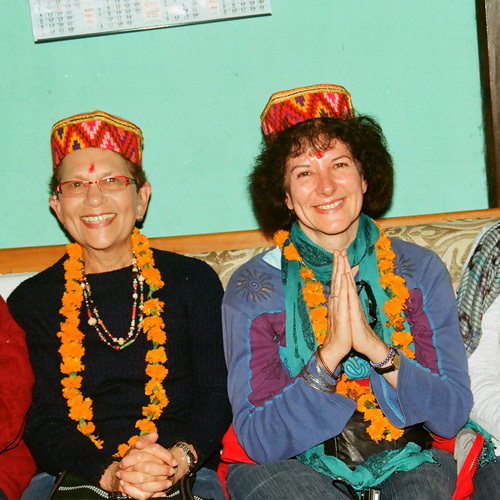 Shyamala has multiple aliases, including Kali and Durga. Kali is a central figure in late medieval Bengali devotional literature. Kali Bari Temple was constructed during the era of the British Raj. According to historians, Kali Bari Temple was established in the early 19th century. The present temple was built by the British in 1845; however the original shrine was created by Bengali devotees. Kali Bari Temple is very popular among Hindu pilgrims. The temple remains jam packed during Navaratras and Pooja holidays. 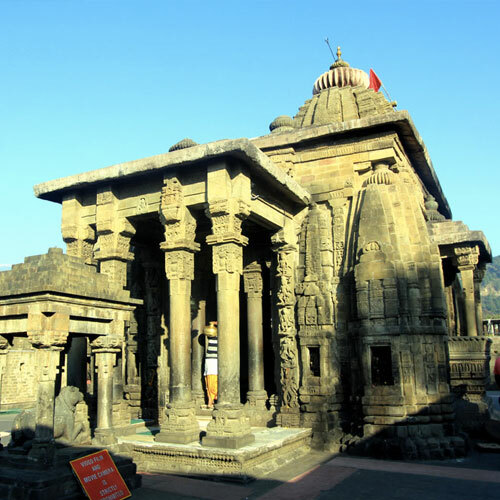 Kali Bari Temple is in close proximity to the Shimla city mall. JAKHU HILL: Jakhu Temple is situated on the top of Jakhu Hill, in Shimla city of Himachal Pradesh, at the altitude of 2500 meters(8,000ft). The temple is dedicated to Lord Hanuman and is believed to be in existence from the times of Ramayana. 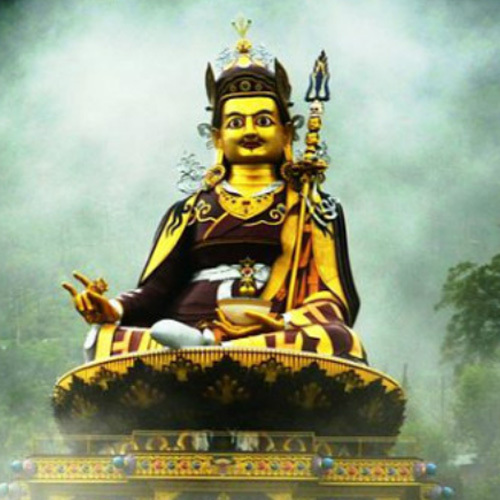 , the temple is Situated in the thick forests of Jakhu hills. According to the legend, Jakhoo temple was formed when lord Hanuman visited Jakhoo hill, during the famous Rama – Ravana fight. Lakshman, the younger brother of Ram, was critically injured during the fight and the only medicinal herb which could have saved his life was available in the Himalayan range. It was on his way to Lanka that Hanuman rested on the Jakhoo hills. It is said that the top of the mountain got flat by his and the mountain’s weight. The temple of Jakhoo has since been highly revered by the locals. There are hundreds of monkeys in and around the temple, who have made this temple and the area around it their habitat. You can easily offer them eatable with care, from a distance, without any danger of their harming you. STATE MUSEUM: State museum was opened in 1947 and has growing collection of 2000 object d’art. 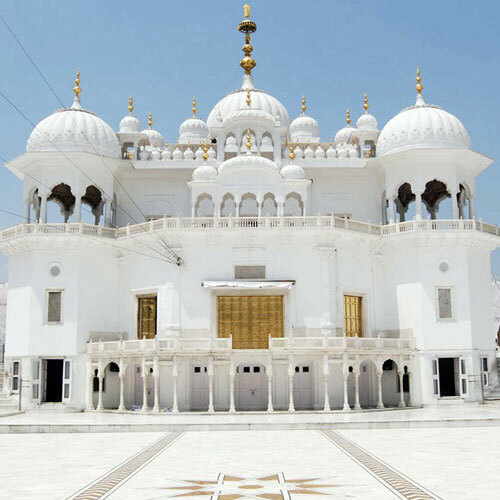 It contains a rich collection of paintings left with the family of Wazir Kartar Singh of Nurpur, Kangra. The State Museum houses a huge collection of magnificent paintings, sculptures, coins, handicrafts, photos, etc of not only the state of Himachal Pradesh but outside too. Besides there is a huge collection of Mughal and Rajasthani paintings. The museum holds the sculptural merit of the 8th century stone works of Masrur and Bajaura. Also a wide lay out of Himachali dolls are displayed here. The museum is open from ten in the morning to five in the evening. The state museum of Shimla also comprises a library that is loaded with historical books and manuscripts. INDIAN INSTITUTE OF ADVANCED STUDIES (VICEREGAL LODGE): The institute is housed in the erstwhile Viceregal lodge built in 1884-88. It is very commanding building in the summer hill. The kind of architecture is English Renaissance with stonework of the walling in light blue limestone and the wrought stonework being done in sandstone in a stunning light gray shade. Some come, however, for a seminar at the institute of Advanced Studies, the scene of many a fun, frolic or escapade, where, too, the fate of nations was decided. Its lawns and woodland are added attractions. The Institute started functioning at Shimla on 20th October, 1965 when it was formally inaugurated by the then President of India, Professor S. Radhakrishnan. 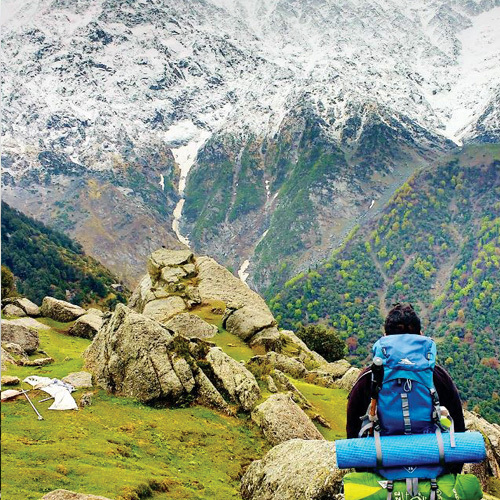 GLEN: It is a charming picnic spot and is a 4 km walk through the dense woods located at a height of 1, 830 meters. You can also go for picnic at this spot since it is completely secluded and tranquil. ANNANDALE: Annandale is a glade surrounded by forests of tall deodar trees, just beyond Glen. It has an ancient temple on its edge and was once used as the playground of Shimla by the British who came here to enjoy racing, polo and cricket. TARA DEVI TEMPLE: Among the various places to visit in Shimla, this temple occupies a crucial place and is also of great importance for the pilgrims. 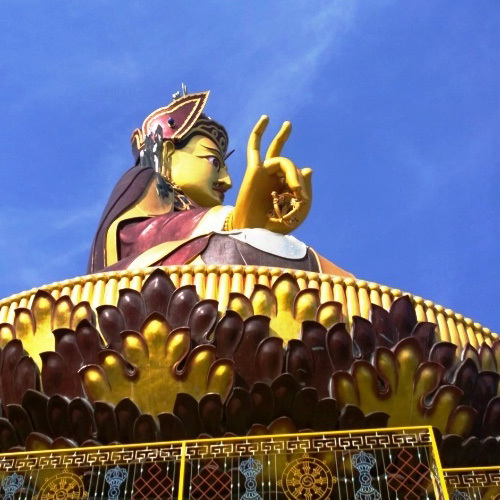 It is located on top of a hill facing Shimla and commands panoramic vistas of Shimla. It is also an ideal picnic spot surrounded by thick forest of oak and rhododendron. KUFRI: The hottest spot to be during winters, because everyone lands up here to ski and throw snowballs at each other. 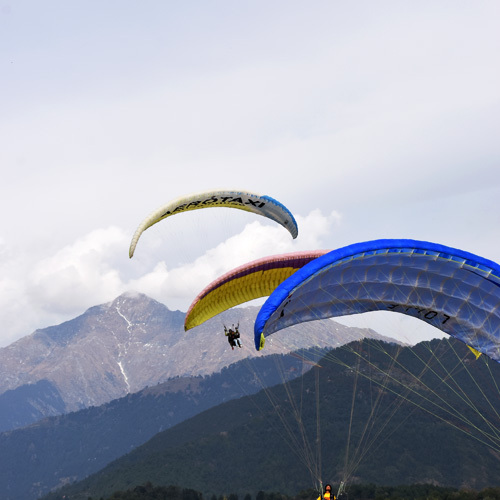 Situated at distance of 16 km from Shimla and at an altitude of 2510 m above sea level it attracts bands of ski enthusiasts from all over the country drift from the snowy fields of Kufri to Narkanda in search of the finest ski slopes on which to flaunt their expertise . A sparkling winter sports festival is held each year in February. The Himalayan Nature Park here has a good collection of animals and birds found in the region. In this park rare varieties of Hangal, Barking Deer, Musk Deer, Brown Bear, rare species of Monal and other pheasants are kept in social groupings. A vast collection of migratory birds can also be sighted inside the Nature park. 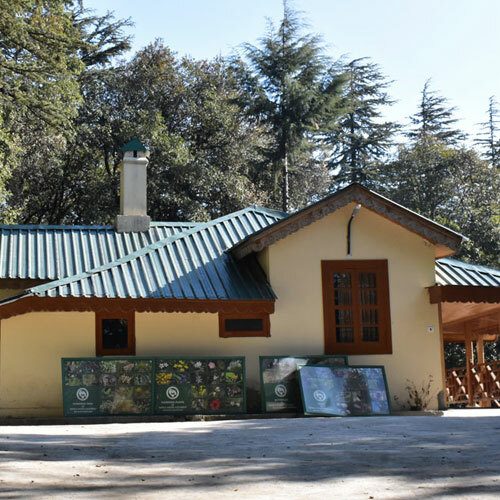 WILD FLOWER HALL: 10 km from the Ridge towards the Kufri, the elegant Wild Flower Hall is situated at an altitude of 2,498 meters (7,400ft), nearly 200 ft higher than that of the Viceroy’s abode. The power and glory of the Empire are gone but the glory of Wild Flower Hall remains in its pristine state. Nestling among thick flora and fauna, the Wild Flower Hall commands a breathtaking view of the snows. Serving as a hotel, it now gladdens the heart of many a tourist who can, from here, re-live the fantastic imperial past. 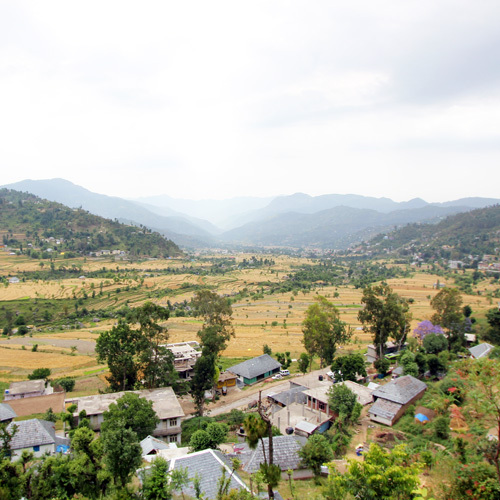 NALDEHRA: Situated on 22 km motorable on Shimla Tattapani road. Naldehra houses the oldest and the highest nine hole golf course in India. It was designed by the British viceroy, Lord Curzon who was so enchanted by this place that he gave his daughter Alexandra, Naldehra as her second name. Ancient Nag temple is also situated here. It is a famous picnic spot and one can have leisure pine lined forest walks and horse rides. 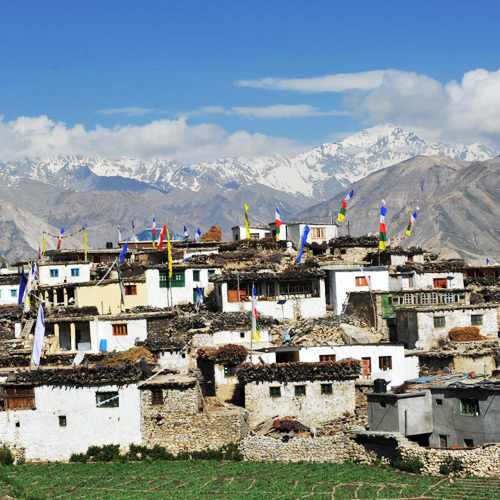 Its beauty has attracted the film industry and this place has featured in many Hindi movies.